Robbie Burns - Journalist, writer and trader. 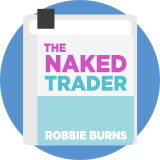 Author of the Naked Trader blog and best-selling book.. Here follow a selection of stock screening strategies that we have modelled based on the writings of or about Robbie Burns. These strategies are not endorsed by the author.